Warning: contains SPOILERS for Secret Empire #10 and Secret Empire: Omega #1. Marvel’s latest major event, Secret Empire, arrived in a whorl of controversy. First off, Captain America tossed his longtime friend Jack Flag out of an airship, simultaneously yelling “Hail Hydra!” From there, writer Nick Spencer heaped on the tension, and Marvel fielded flak as a now Nazi-like Steve Rogers built his underground regime, backstabbing and scheming his way through his self-titled book and the Civil War II event. Everything culminated when Captain America and his green and yellow goons occupied America in Secret Empire #0 and beyond. Given America's divisive election cycle and the backlash to an American icon becoming a fascist overlord, Marvel’s summer crossover should’ve blown readers' minds. Admittedly, the first few issues were intense, but the conclusion to the story felt compromised, at least compared to its high-stakes beginning, and the death and destruction strewn along the way. Is it possible all the fan-recoil forced Marvel to change the end of their uneven but thought-provoking crossover event? Did Secret Empire Go Down as Planned? Major events like Secret Empire are often planned out several years in advance. In Marvel’s case, many of their upcoming tales are plotted during the fabled writer’s retreat. The groundwork for their last major arc was laid roughly a year ago, during the Pleasant Hill story arc. The perplexing saga revolved around S.H.I.E.L.D. director Maria Hill, who used Kobik, a little girl embodiment of the Cosmic Cube, to rewrite supervillains into passive citizens of the bucolic community. When Baron Zemo broke his programming and led a revolt, Steve Rogers was mortally wounded. Kobik revived him, but thanks to her indoctrination by Red Skull, who disguised himself as a priest, his new background reflected a distinctly Hydra origin. Over the next year, writer Nick Spencer worked tirelessly to establish the duplicitous lengths to which Captain America went to build his Secret Empire. 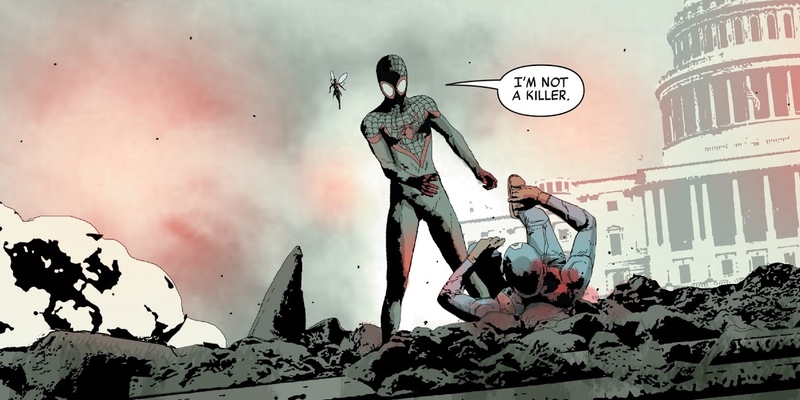 Through Civil War II, when Inhuman sage Ulysses foresaw Miles Morales (Spider-Man) kill Rogers on the steps of the U.S. Capitol, he's been a marked man. In the end, though, neither Marvel’s heroes nor the enraged populace deposed Rogers. Instead, Kobik created a good version of him, based on her memories (the so-called Vanishing Point) and, in a very meta, Civil War-esque battle, Cap defeated his evil twin in Washington D.C. 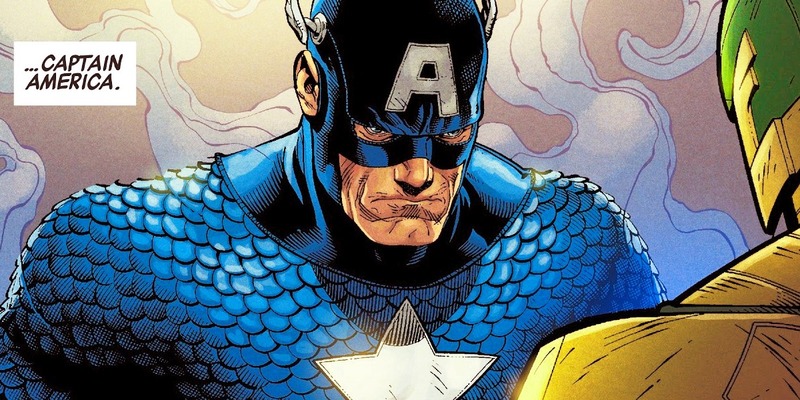 The fan backlash to Rogers’ “Hail Hydra!” moment may have caused Marvel to balk from their original ending, which may have originally ended with HydraCap's redemption - or even death. Nonetheless, major events usually roll out according to set plans and schedules. After all, there are countless factors involved in altering them. Writers need to run changes through editorial for approval before the book’s artists conceptualize the new storyline. Then, the editorial team must approve the changes again before they run with the narrative alterations. Swapping the ending to a major event is likely tricky but not impossible. At the same time, altering things puts the series at risk for sales-slaughtering delays. Marvel’s previous major crossover, Civil War II, suffered as a result of similar circumstances – which probably pushed them to rotate artists on Secret Empire – losing momentum with fans. So while Marvel may tweak things along the way, they probably wouldn’t alter something as important as the end, at least without a good reason. Kobik was already heavily involved in the build-up to Secret Empire, since one of the last missions HydraCap sent Baron Zemo on was to capture her before she was destroyed. In the second issue of the event, Spencer also revealed the Vanishing Point, where Rogers' “good" version lived on. Given the etheric realm's heavy connection to Generations, both Kobik's intervention and the Vanishing Point were probably in-play all along. On the other hand, the blowback from Steve Rogers’ villainous affiliation, as well as other controversial moments, could have pushed Marvel to realign the end of Secret Empire. So, did Marvel really alter Secret Empire? There are a few signs of unscheduled modifications. True, major events require a good deal of planning and a heck of a lot of work. So, any major adjustments could be troublesome. But there is a precedent for comic book companies modifying big stories due to fan displeasure or bad publicity. One noteworthy example is DC’s revision of their 1991 crossover "Armageddon 2001." When the fledgling Internet got ahold of the final twist – which revealed that Captain Atom turned evil – the company rearranged things so Hawk transformed into the villainous Monarch instead. Another earlier example from the House of Ideas itself is the first “Clone Saga.” Gwen Stacy’s death in Amazing Spider-Man #121 angered so many fans that Marvel returned her to life, albeit only for a moment, during the semi-infamous event. While it's not proof of major plot shifts, Secret Empire did receive an extra issue and an “aftermath” issue. Sure, Secret Wars and Civil War II were also extended, but Captain America's contentious status, in addition to the heated election, might have pushed Marvel to reimagine things. The add-on chapters were announced in May, still early in the event, which allowed a bit of breathing room for alterations. Sure, they could've been a way to work out some plot kinks. However, if Marvel created a second Steve, rather than just pushed him to engage in a metaphysical battle or killed HydraCap outright, it speaks a reaction to fan frustration with the character, or even fears of diminished fan goodwill without a proper restoration of Steve Rogers to his "good" self. Initially, Spencer claimed Rogers was “not a clone, not an imposter, not mind control, not someone else acting through Steve.” An unidentified Marvel source also insisted he was manipulated from the beginning, but HydraCap was still the same hero beneath it all. By the end of Secret Empire, though, the warped version did become an evil twin. In addition, Marvel didn’t kill off Steve, as threatened by Ulysses’ vision in Civil War II. While the premonition might have been little more than smoke and mirrors, it suggests a more brutal outcome for Hydra's Supreme Leader. Still, not killing Rogers was redemptive both for Black Widow (postmortem) and Miles Morales. The bonus chapter, Secret Empire: Omega #1, hints at a slightly different conclusion as well. While it sets up the continued threat of Hydra and the further misadventures of evil Steve (or Stevil? ), Omega also smooths out a few plot hiccups. It also rectifies HydraCap's dual existence – which diminished the overall impact of the event – and explores the figurative blood on good Steve's hands. Not definitive proof of plot changes, but the wrap-up book is indicative of a clean-up job in-progress. 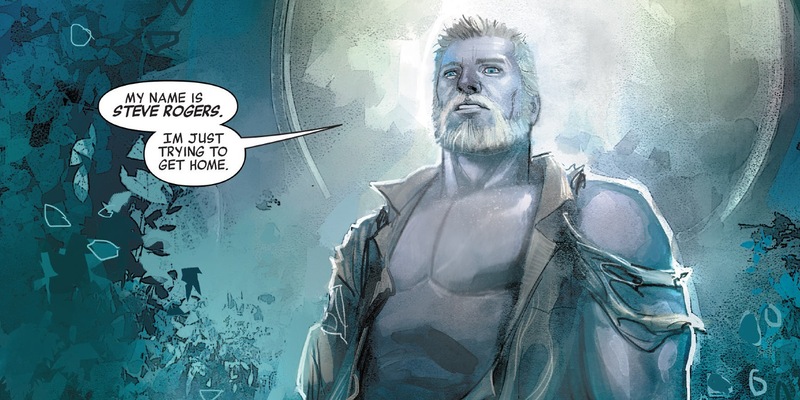 Whether or not Marvel altered Secret Empire’s conclusion may remain a mystery forever. Still, walking back the true evils of Captain America (understandable given the backlash) by adding a second, good Steve Rogers feels like fan service. In addition, the bonus issues could indicate that Marvel at least tweaked the finale as a means of damage control. Ironically, if Spencer and company did modify Secret Empire to help Captain America's public image recuperate, they transformed a potentially impactful conclusion into a weak replay of Civil War II. At this point, though, speculation is all fans have to go on, while we wonder just how powerful Cap's Secret Empire could have been. Secret Empire #10 and Secret Empire: Omega #1 are currently available.